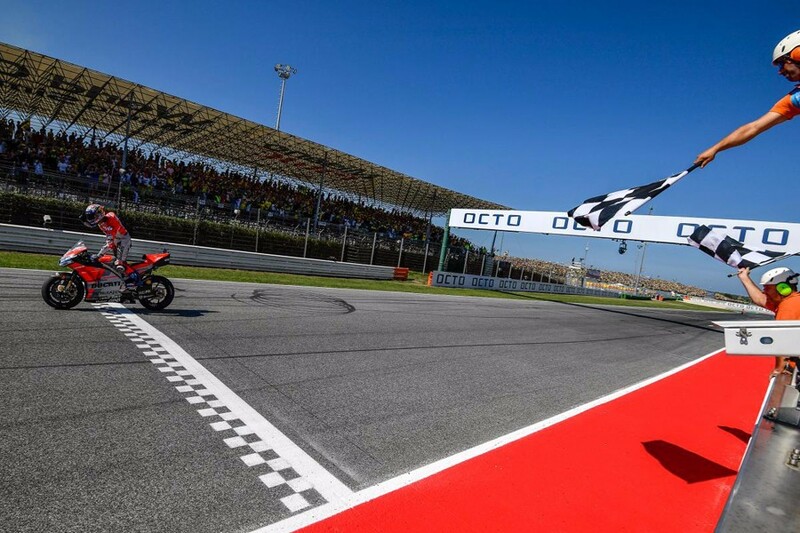 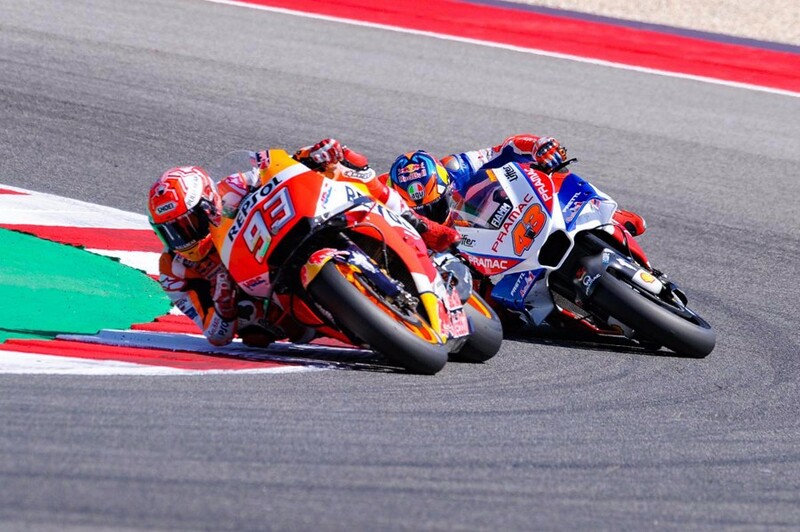 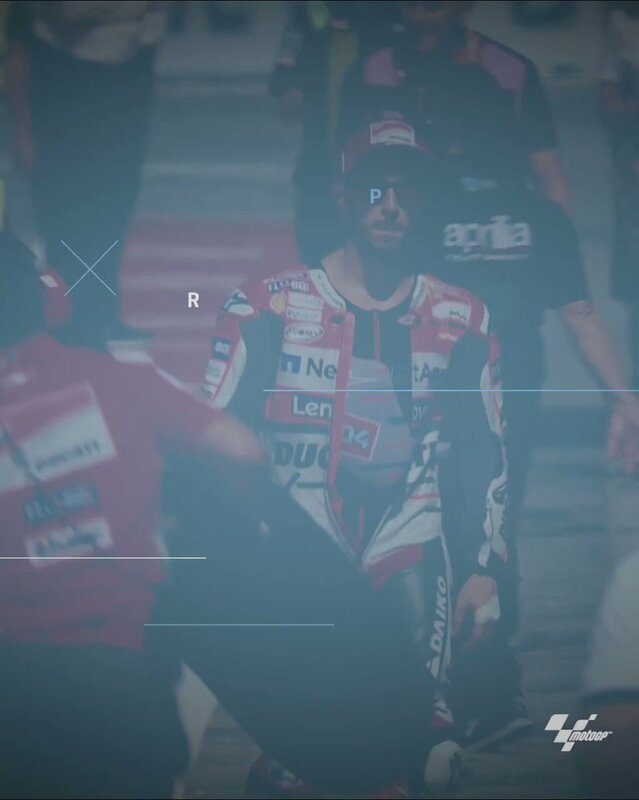 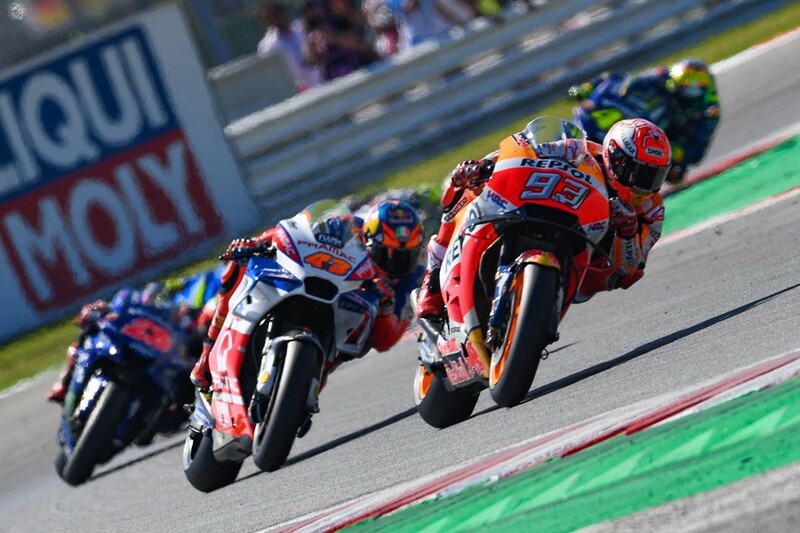 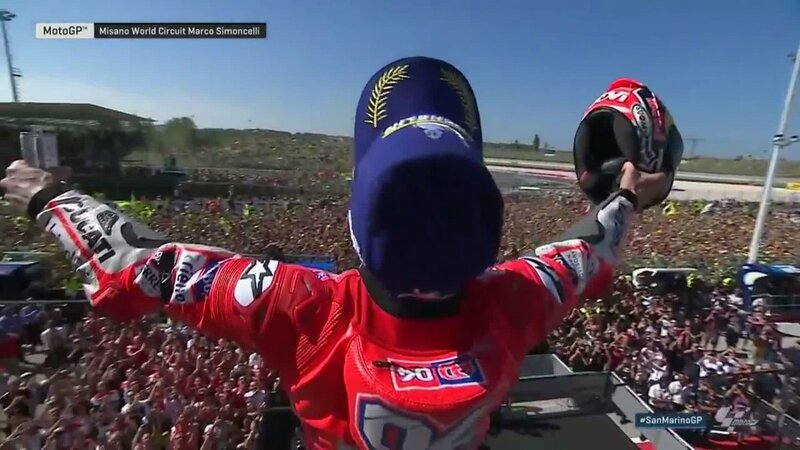 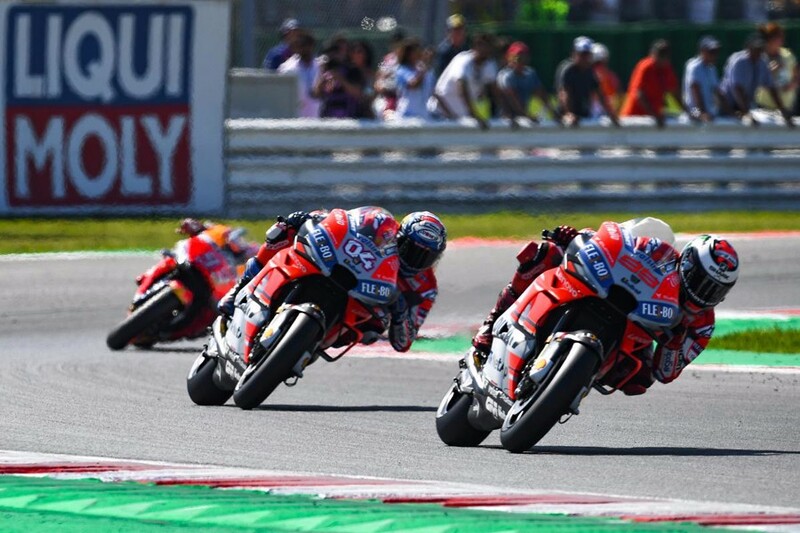 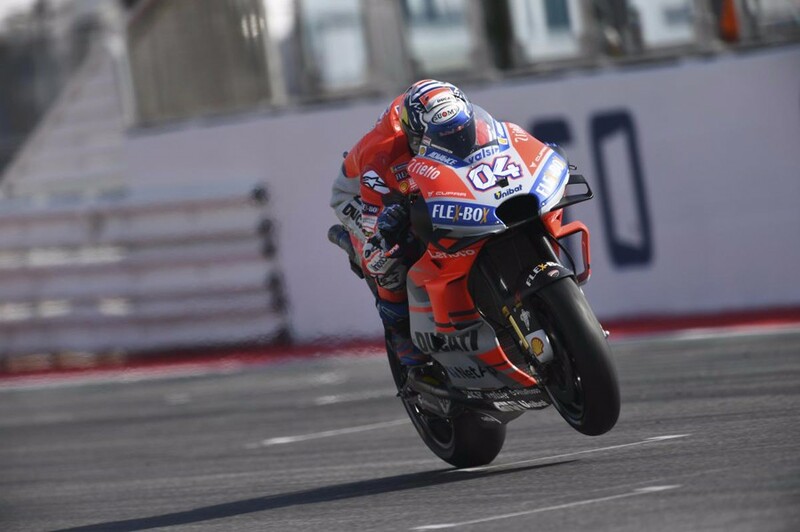 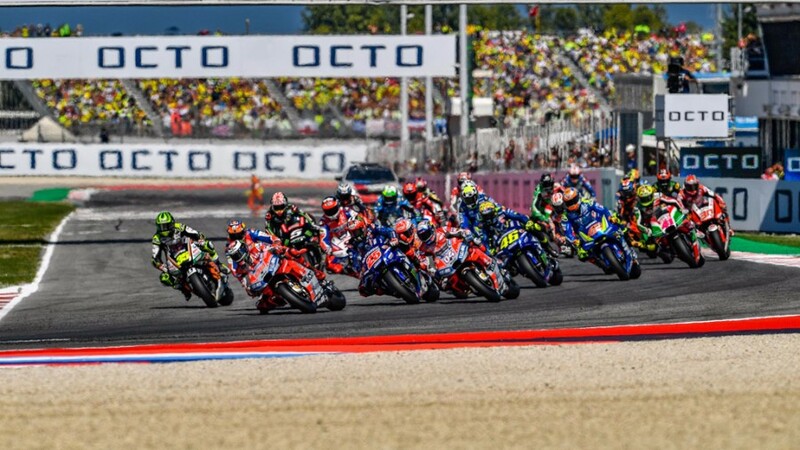 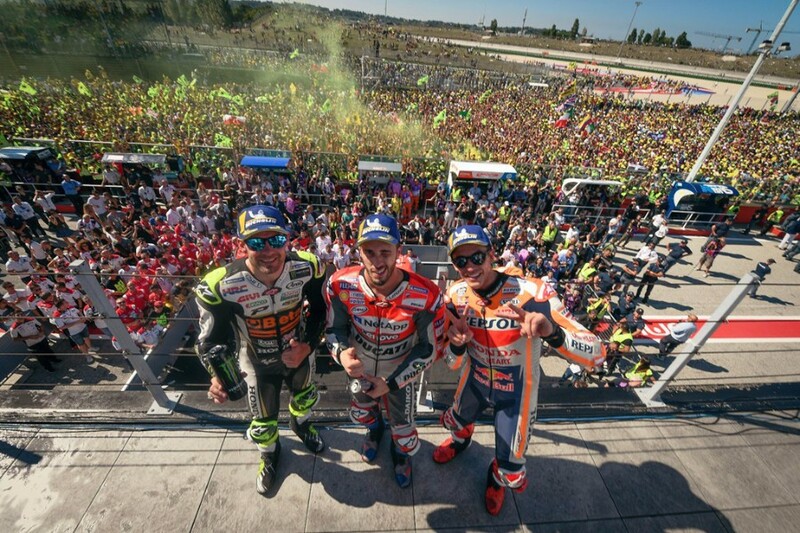 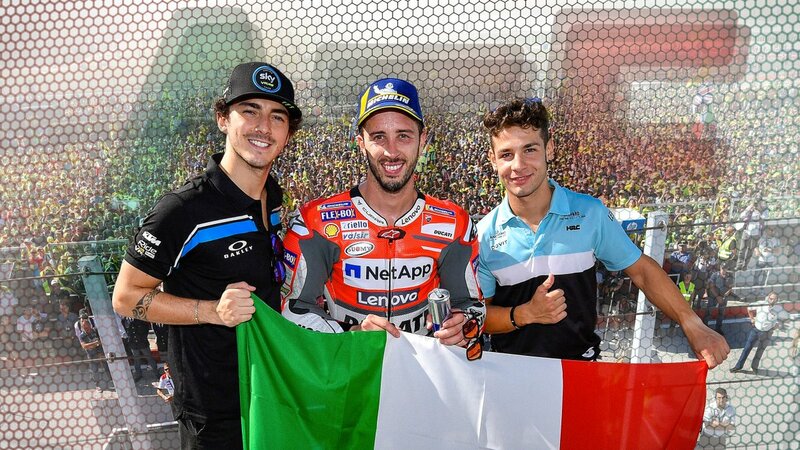 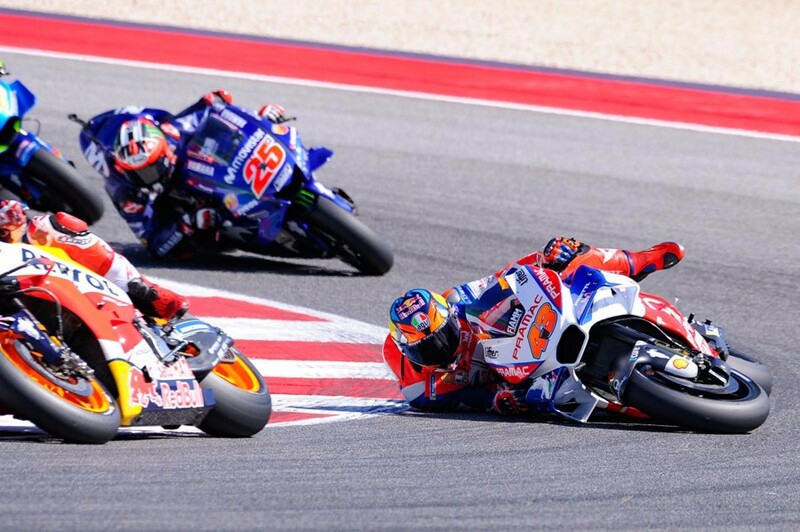 San Marino Grand Prix witnessed Andrea Dovizioso (Ducati Team) claimed his third win of the 2018 season at Misano World Circuit Marco Simoncelli on September 9, 2018. 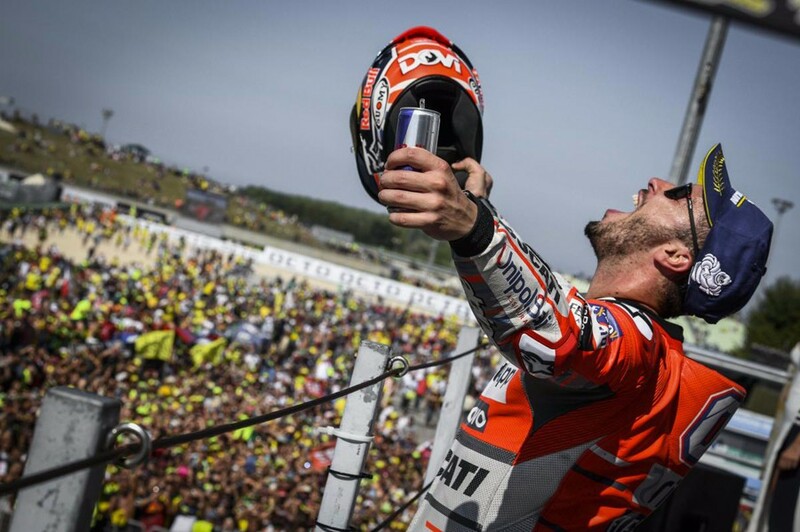 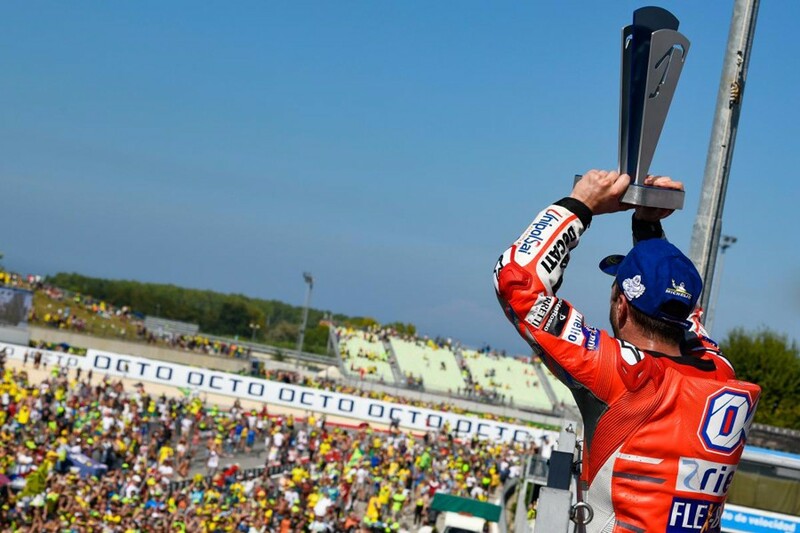 His win also makes it three in a row for Ducati, having won at Brno and teammate Jorge Lorenzo (Ducati Team) following that up with victory in Austria. 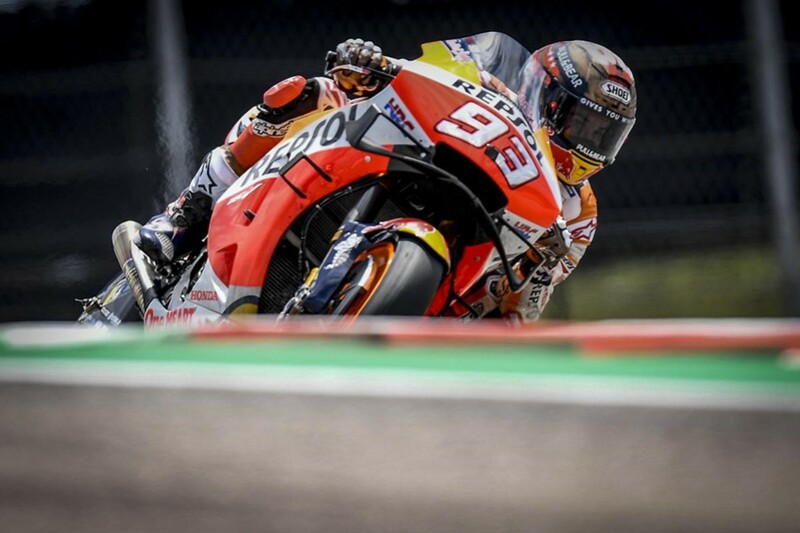 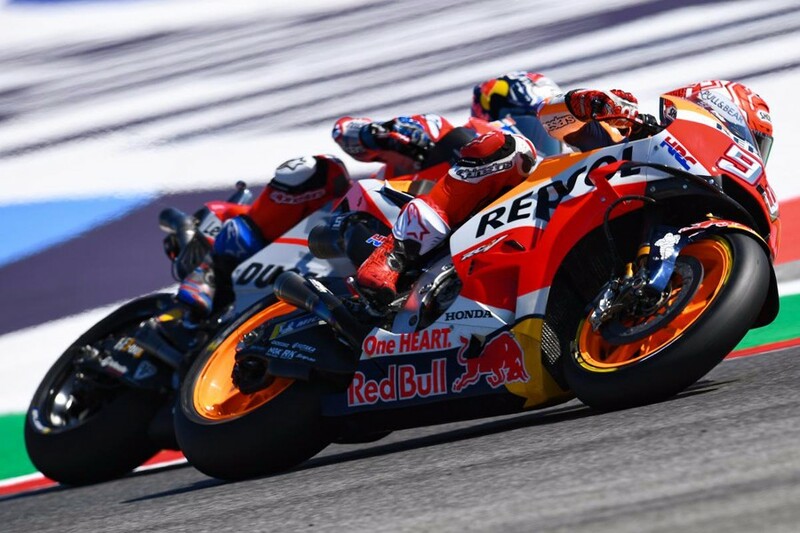 Marc Marquez (Repsol Honda) finished 2nd place behind Andrea Dovizioso by 2.822s. 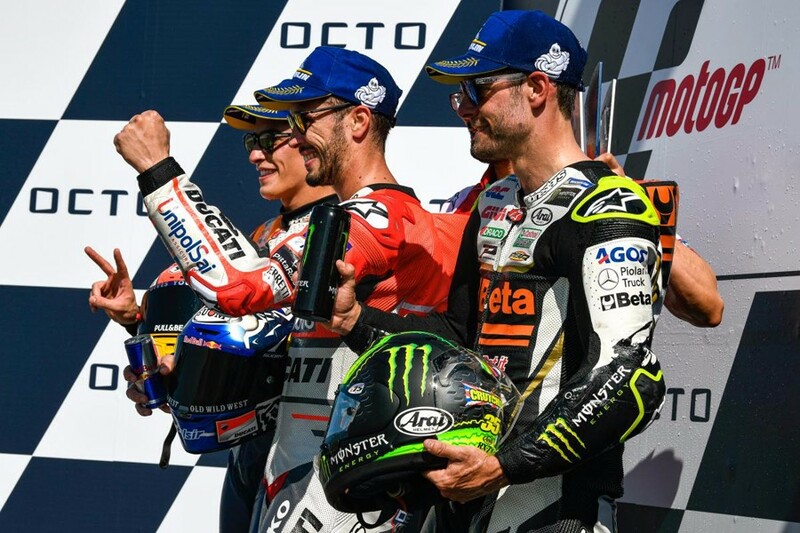 Cal Crutchlow (LCR Honda) took 3rd place, which was his 2nd podium of this season. 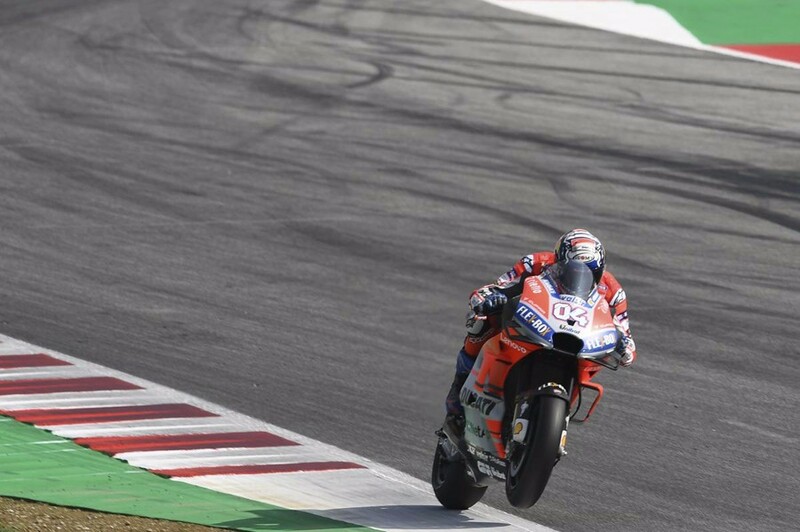 Pole sitter Jorge Lorenzo led the race at beginning, but he crashed out in the final five laps. 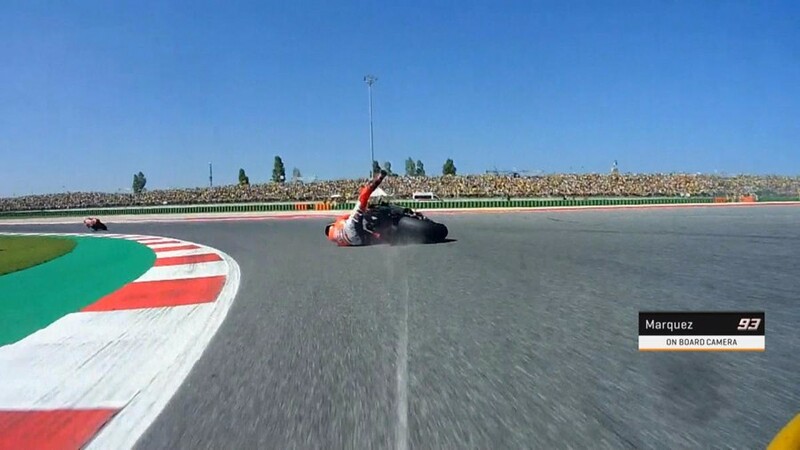 Also 2nd position start Jack Miller (Pramac Ducati) had crashed out of 4th place in two laps. 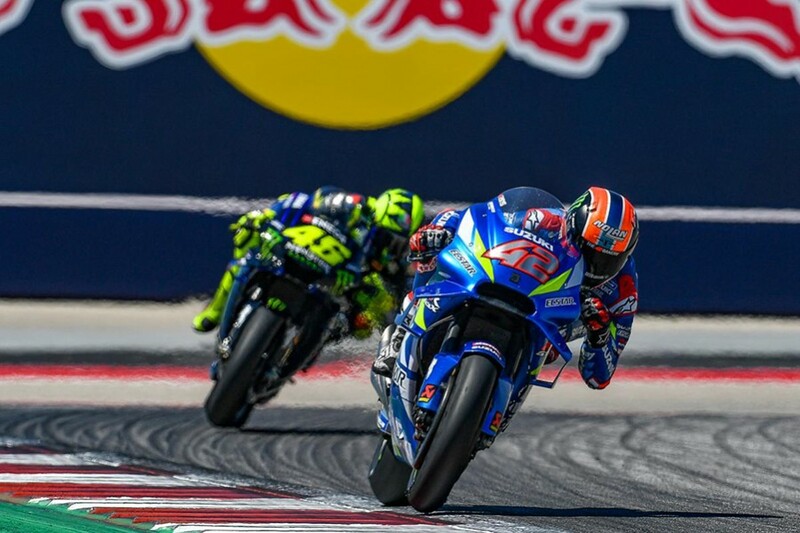 Maverick Vinales (Movistar Yamaha) failed to make the most of his front-row starting spot, slipping to fifth on the opening lap and ultimately ending up in the same position. 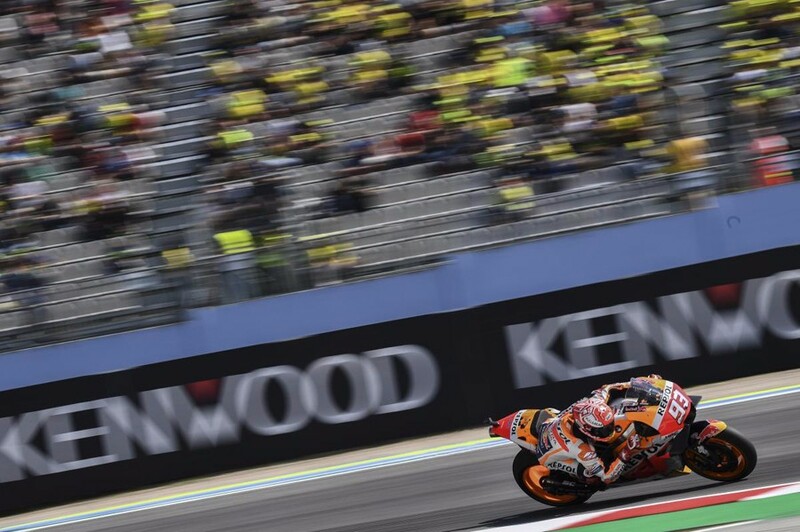 Team-mate Valentino Rossi (Movistar Yamaha) had a similarly indifferent run to seventh behind Dani Pedrosa (Repsol Honda). 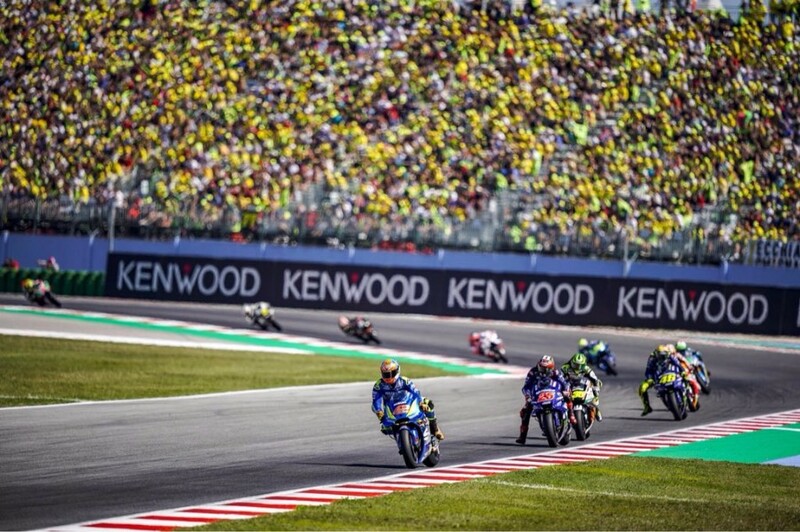 Alex Rins (Suzuki Ecstar) finished 4th place. 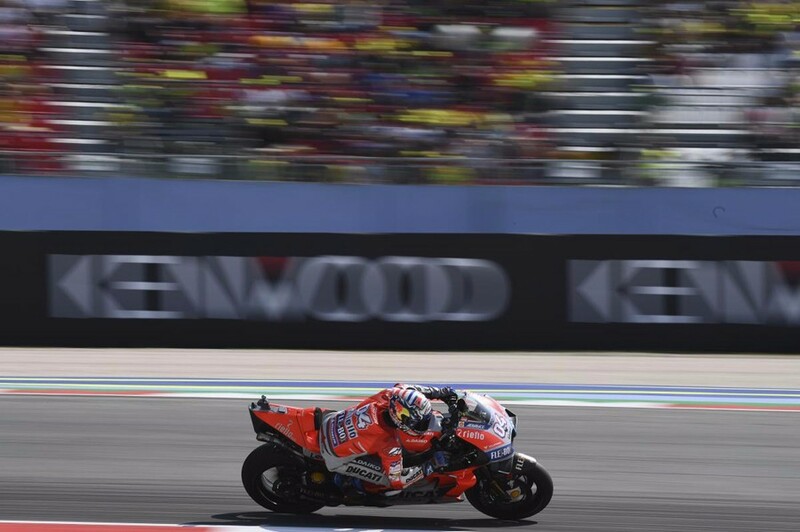 “Especially after Warm Up I was feeling good, I knew my speed was as a minimum the same as the competitor but with this tyre, sometimes it’s not enough when you’re in that situation. 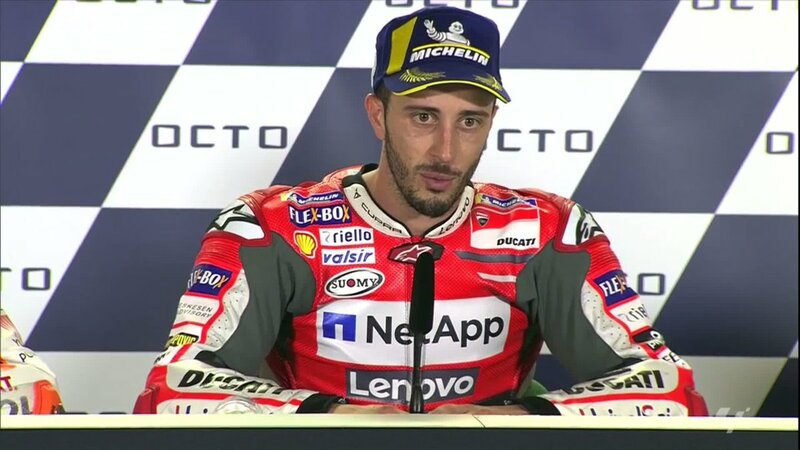 You have to create the situation and I was so focused to do that, I knew Jorge would want to start leading and push but he didn’t push so hard, he seemed to have the tyre so I tried to save the tyre and play with the riders behind me, and see how confident I was to push. 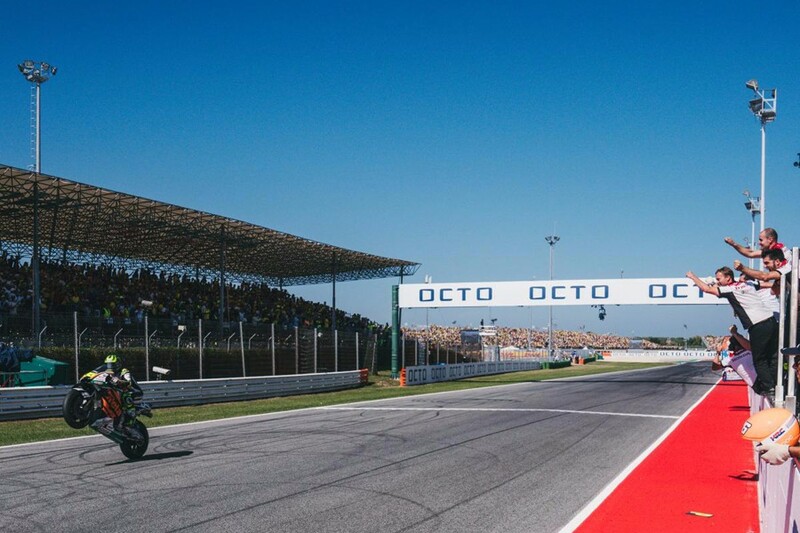 In that moment I was just keeping a good lap time, a 33.4, but at that moment Jorge started to push very hard and maybe it was under 33. 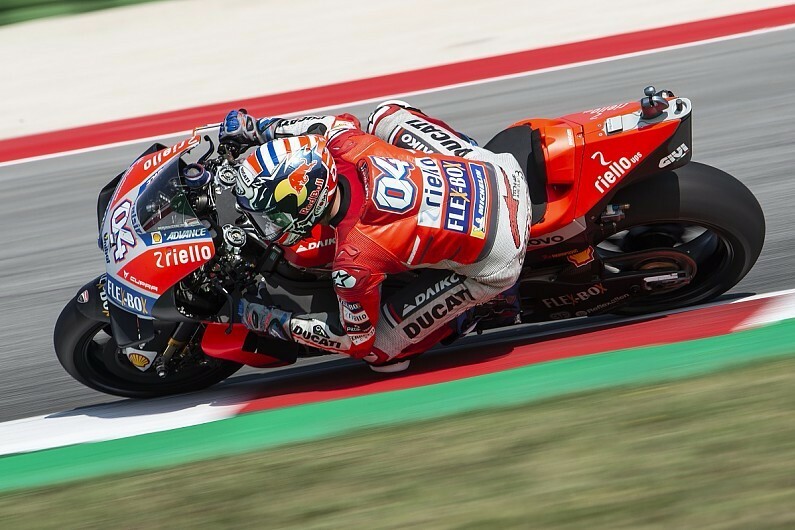 But to do that lap time you have to take a lot of risk, I didn’t want to risk, but at four laps to go I understood that I had to push because when Jorge does something like he normally comes very strong. 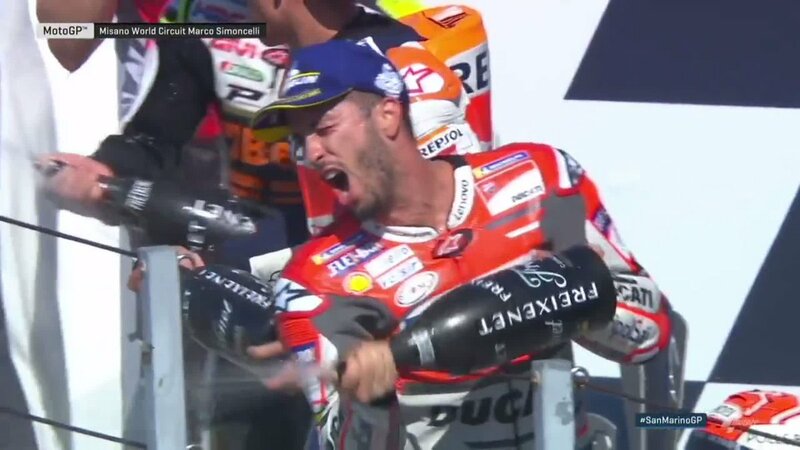 I think in the same lap he crashed he did a 32.8 and I knew that when I did that lap time it was enough to manage the situation.